AFRO-EUROPE: Video: Belgian singer Stromae released video "Peace or violence"
Video: Belgian singer Stromae released video "Peace or violence"
The Belgian singer-songwriter Stromae, real name Paul Van Haver, released the video "Peace or violence", which is a song from his studio album Cheese (2010). Stromae has distinguished himself in both hip hop and electronic music. He first became famous with the song "Alors on danse" which remained at number one for several weeks in numerous countries throughout Europe. 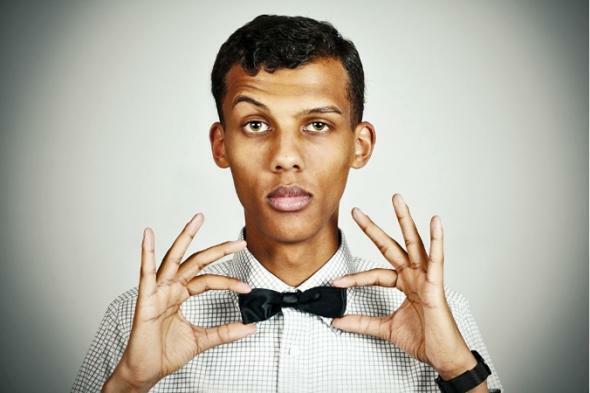 Stromae was born in Brussels to a Rwandan father and a Belgian mother. The blog Africa is Country wrote about him. "Stromae seems determined to turn every song on his 2010 album Cheese into a hit. A video like the one above will no doubt help. I’ve always been surprised by articles digging for his ‘Rwandan roots’ (e.g. “in Africa, I am considered white”), for in Belgium we just know him as the dude from Alors on Danse (and its hilarious ‘making-of’ you must have seen by now)."